Give the Gift of FPV. 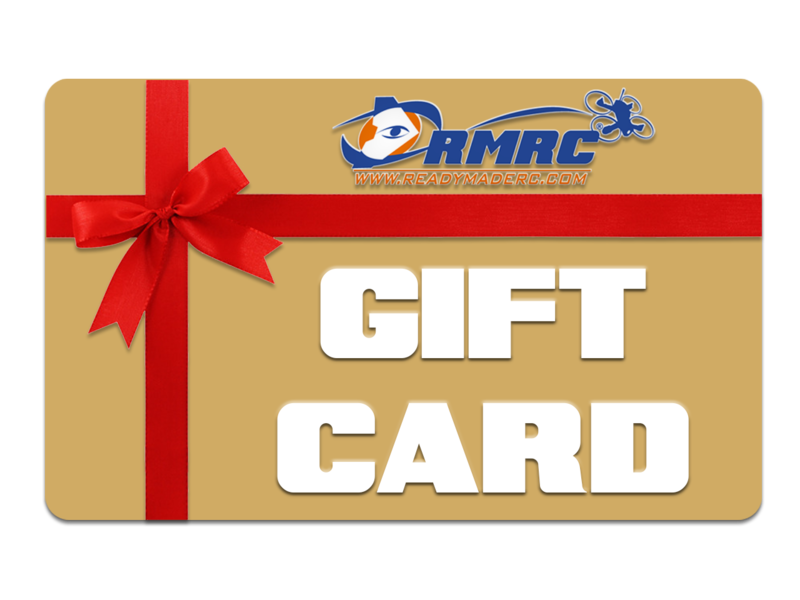 Get RMRC Gift Certificates! RMRC Gift Certificates are a great way to tell someone you care about them! If you aren't sure what specific products to give as a present, just choose any gift certificate amount over $10 and you can give the gift that keeps them flying. Once you purchase a gift certificate using THIS LINK and the purchase has been approved by our staff, you will have a store credit applied to your account. You can then go to the Gift Certificates page on your account to get a PDF for a gift certificate that you can print out, or you can choose to email it directly to the recipient. Choose to give them a little, or give them a lot. It's up to you!